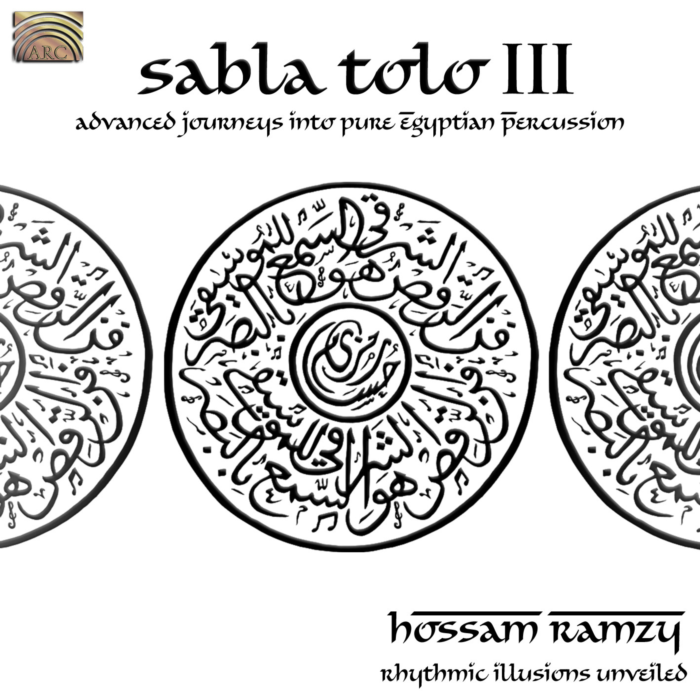 In 1987 percussionist and composer Hossam Ramzy recorded his first solo album, “An Introduction To Egyptian Dance Rhythms”. This was the first break from his successful career as one of the most sought-after session percussionists of his generation. His CV at the time read like a who’s who of 80s music – Boy George, Marc Almon, Peter Gabriel and Killing Joke were just a few of his clients. From this secure and privileged position, Hossam made the decision to look deeply at his own musical roots. This was the beginning of an artistic conversation that has given the world some of the most inspired Egyptian and Arabian beats ever recorded. Hossam acted on his deep desire to record many of the dance rhythms and compositions that originally inspired him to play. His intention was to record, document, enhance and contribute to the rhythms and compositions of a musical and dance culture that was slowly being eroded by the desire for progress, modernisation and superficial Westernisation. 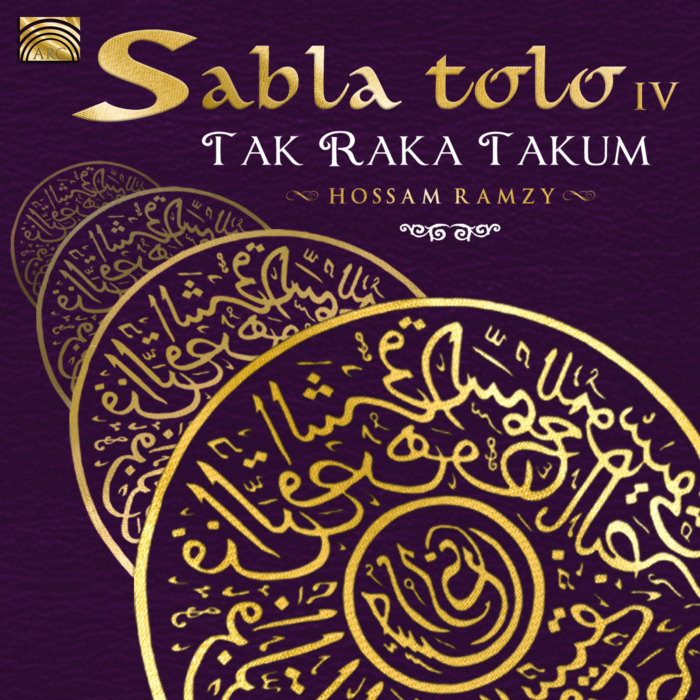 Hossam was convinced that a vital musical and cultural tradition would be lost if many of the compositions that he knew and loved so deeply were not recorded for future generations. In that context, Hossam made a decision to take the conversation even further creatively with his own compositions inspired by the rhythmic tradition he was born into. He has spent the last two decades recording and composing a series of over 22 CDs that fulfil that intention beautifully. 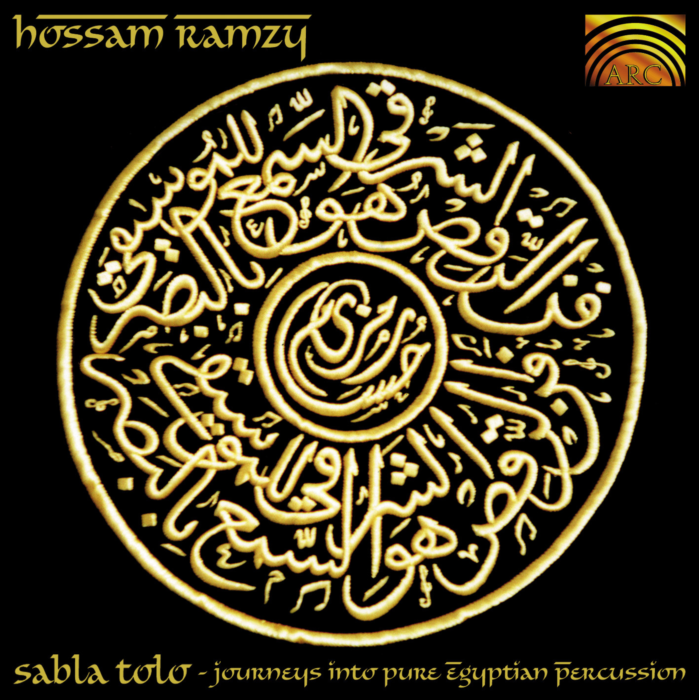 The recordings fall into five loosely woven strands that come together under the banner of Hossam Ramzy. The first strand looks very closely at the traditions of Egyptian dance music across the Middle East, titles like “RO-HE Classical Egyptian Bellydance” and “Baladi Plus” and “Best of Baladi and Saidi”. The second strand looks at rhythmic traditions like “Egyptian Rai”, which is a politicised form of Middle Eastern self-expression. The word Rai literally means opinion as exemplified on the classic recording Egyptian Rai. Thirdly, there are collaborations with other Middle Eastern artists like Mohsen Allaam (Accordion), Raft Misso (saxophone), Maged Sorour, Mohammed Naiem, Dalinda and the Gypsies of the Nile. The fourth strand looks at the great Middle Eastern composers like Abdul Halim Hafiz, Om Kolthoum (The greatest singer to come out of the Middle East), Farid Al Atrash and Mohamed Abdul Wahab. 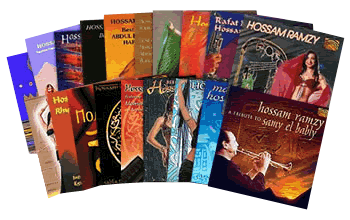 Hossam recorded tributes to these great artists with his own traditional Egyptian Ensemble. Last and by no means least are the albums of original work by Hossam, which fall broadly into the World / Crossover camp as they hold the influences of his Egyptian childhood and his contemporary European lifestyle. 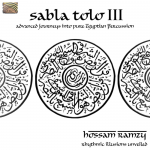 These include titles like “Source of Fire”, “Secrets of the Eye”, “Gamaal Rowhany”, “Faddah”, “Sabla Tolo”, “Sabla Tolo II”, “Sabla Tolo III” and “Sabla Tolo IV”.